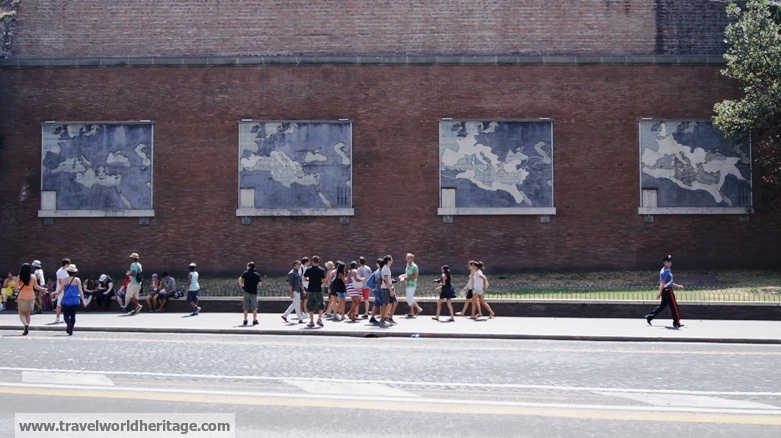 Rome, like any great city, has its historic beginnings shrouded in myth and legend. According to the stories of ancient Romans, the city was founded in 753 BC by Romulus and Remus (no, not the capitals of the Romulan Star Empire). The two brothers were nursed by a she-wolf and due to a dispute, Romulus eventually kills Remus. According to later additions to the myth by the Roman poet Virgil, it is said that following the fall of the Trojans, Aeneas of Troy survived and fulfilled his destiny by fathering the founder brothers, and starting a lineage claimed by the likes of Julius Caesar and Augustus themselves. Rome already had a lot of history going for it and I was very excited to explore the ancient ruins of the Colosseum. What I didn’t expect was how much had actually survived in the Roman Forum. The Roman Imperial Forum was the center of the ancient city. I initially hesitated because whenever something is described as “site of,” it’s usually a nice way of saying “nothing really remains, but we’re pretty sure it was here.” Many of the great columns are still standing with original Roman inscribed stones. 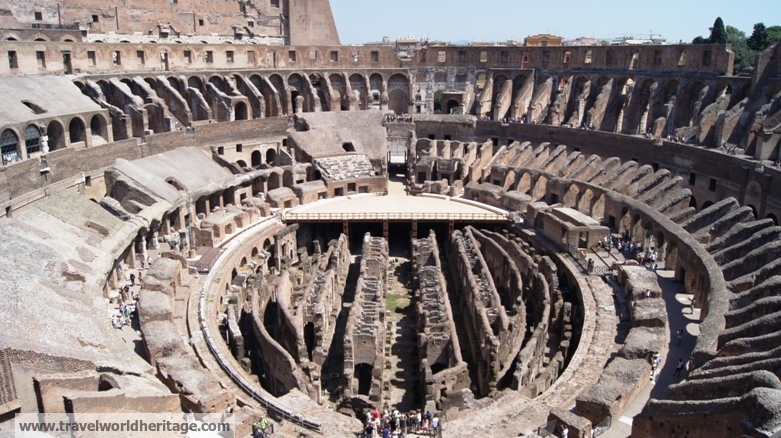 A relatively recent discovery has also unearthed the site of the gladiator living quarters, connected directly to the Colosseum. One of the buildings I was most excited to see was the Pantheon. I shamefully admit that my excitement was from confusion with the greek Parthenon, but it was nonetheless, magnificent. 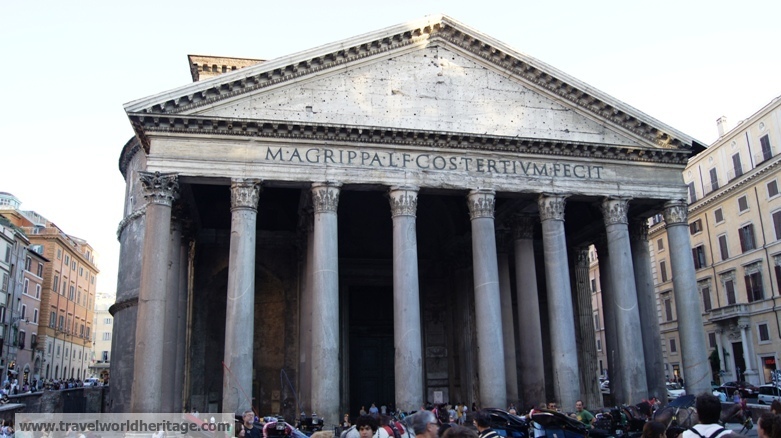 The Pantheon was built in 127 AD, but is probably the best preserved ancient building in the world. 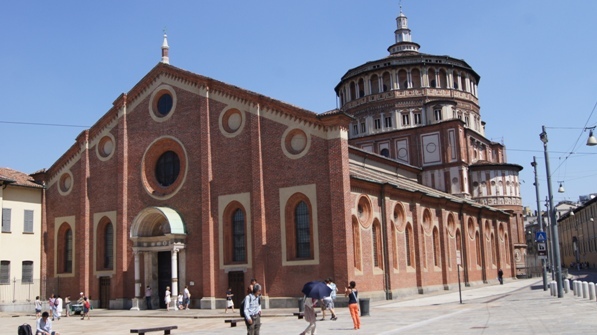 It was built for the gods, but since changed allegiances to Roman Catholicism. Ancient history aside, the city is just gorgeous. My favorite thing about Rome were the plazas. Dozens of plazas are scattered throughout the entire city, with a beautiful fountain or statue in the middle and surrounded by coffee shops or restaurants. Rome is one of those cities you really can just walk around, get lost, and have a fantastic experience. 1) Completeness and Originality (13/15): Very difficult to judge, but it is extremely well preserved given how old it is. The Colosseum lives up to expectation as does the Roman Forum, and the Pantheon. 2) Extensiveness of the Site (15/15): After four days in Rome, there was still a lot more to see such as the Castle of St. Angelo and the National Museum of Rome. Like the saying goes though, some travel is better than no travel :). 3) Cultural Significance (25/25): If this doesn’t deserve a perfect score, what does? Rome was the capital of possibly the most influential empire in earth’s history for a thousand years. Furthermore, close to 1 billion native speakers of latin-derived languages exist today. 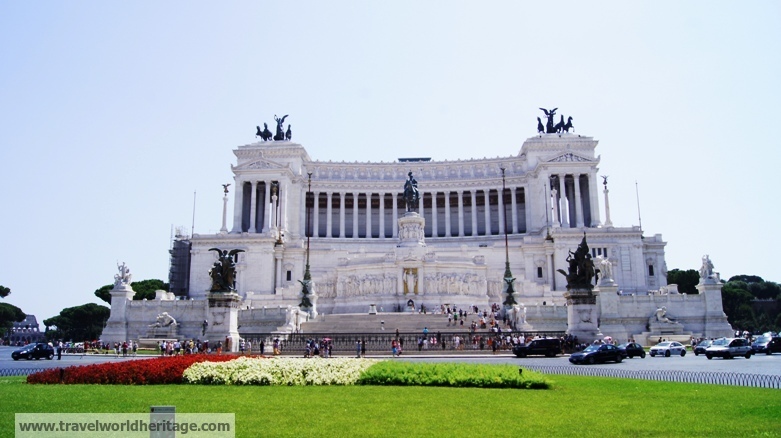 This monument, walking distance from the Colosseum, is dedicated to Victor Emmanuel II, one of the founders of modern Italy. 5) Logistics (6/10): Getting there is incredibly easy, even if you speak no Italian at all. Roma Termini Station is in the heart of the city and the Colosseum literally casts a shadow on the entrance of the Metro station. However, I found the entire city to be incredibly overpriced. The Colosseum is 12 Euro (15 USD) and 20 euro for the full tour, the Vatican museums 16 Euro (20 USD), the Galleria Borghese 16 Euro (20 USD). I know they are world known places, but these prices are outrageous. By contrast, most palaces in Korea are 1-3 USD, the Great Wall in China is 7 USD (at most), and Chichen Itza is 5 USD. In addition, hotels are also expensive compared to other capitals, including “pricey cites” like Tokyo. This Fettuccine Alfredo was the best I’ve ever had, but was incredibly overpriced. The restaurant is in front of the Pantheon. The best pizza I had was in front of the St. Angelo Castle near Vatican City. 6) Uniqueness (14/20): “Historic Center of” is probably the most common UNESCO world heritage title. However, I will say that Rome is no ordinary city. I can’t think of any other city that commands so much history, culture, and contains more monuments than the ancient Roman capital. I would say it is on par with Mexico City in this category. 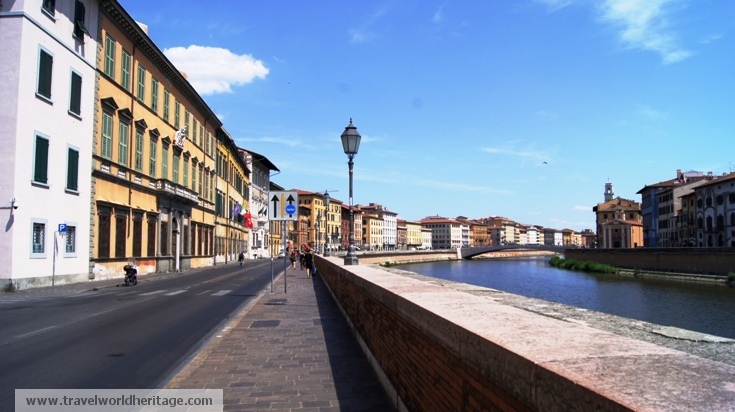 The Angelo bridge is right in front of the castle of the same name. The Tiber River is surprisingly clean. Is this a good score? Find out how it compares in our rankings. I am always hesitant to write an article about Italy, as it has probably been done to death. Even the Lonely Planet doesn’t want to hear it anymore! 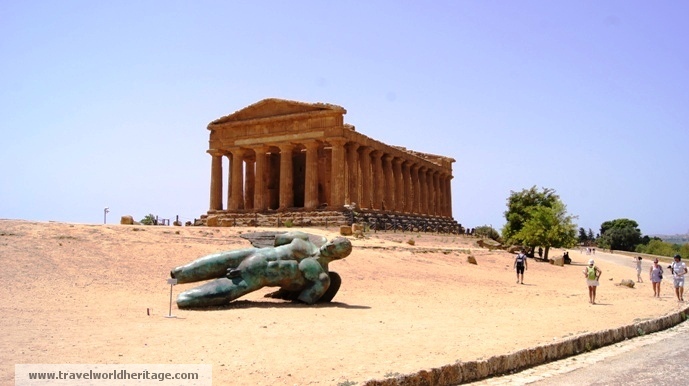 I recently wrote one on the Valley of the Temples in Agrigento, Sicily because I felt it was one of the least known WHS, and definitely one of the most amazing ones in the world. 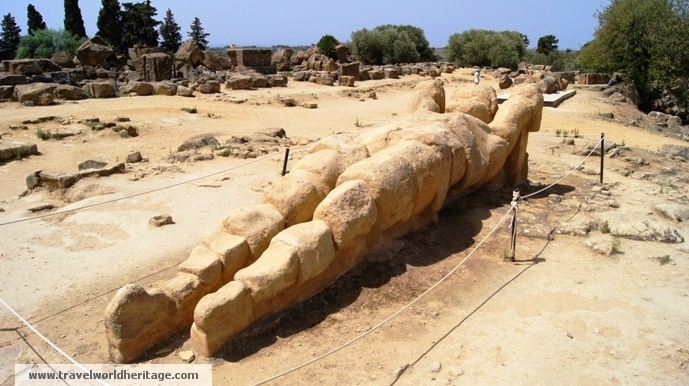 How often do you see Greek ruins older than Acropolis? 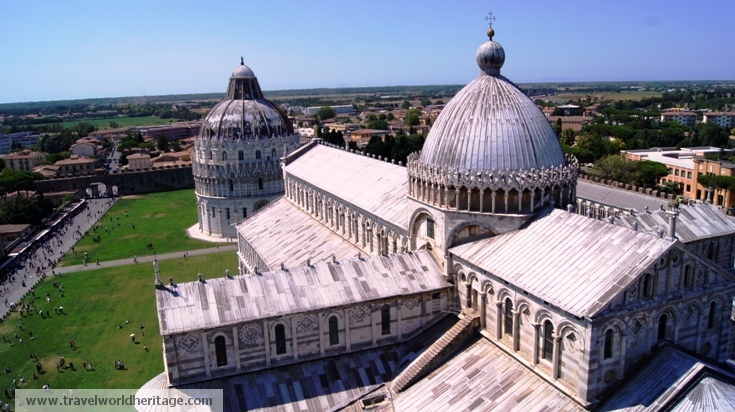 Nonetheless, the Piazza del Duomo, Pisa is a UNESCO World Heritage Site I have visited, so I am doing it an evaluation anyways, dammit! While planning my Italy itinerary, I had the good fortune of knowing a friend who had recently visited, and for the first time in my life, I took her advice when she insisted that I skip staying the night. The area is walled off from the rest of the city, which actually looked much prettier than I expected, but she was right in pointing out that the tower and plaza were the main attraction.